Use the fibre brush tool like an eraser to soften crisp edges and to create gradual tonal values. Use a soft brush to remove the erasure dust because the fiberglass fibres can cause skin irritation. Caution contains fibreglass. Not recommended for children. 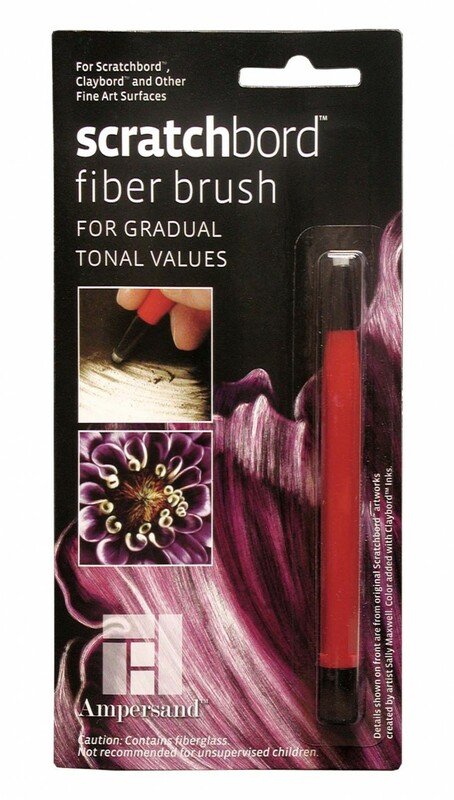 Click the button below to add the Scratchbord Fibre brush to your wish list.